ICI stainless steel bed rail caps for trucks offer rugged protection and unparalleled style for your truck bed. Thanks to their high-quality construction materials, they provide exceptional defense against dents, dings, scratches, and other blemishes your bed rails. Installing your ICI stainless steel bed rail caps is a simple procedure that can be done easily in your garage with no drilling, no need for professional assistance, and minimal effort. They mount securely onto your truck using the included automotive-grade 3M adhesive tape that keeps them solidly in place even through the roughest of conditions. 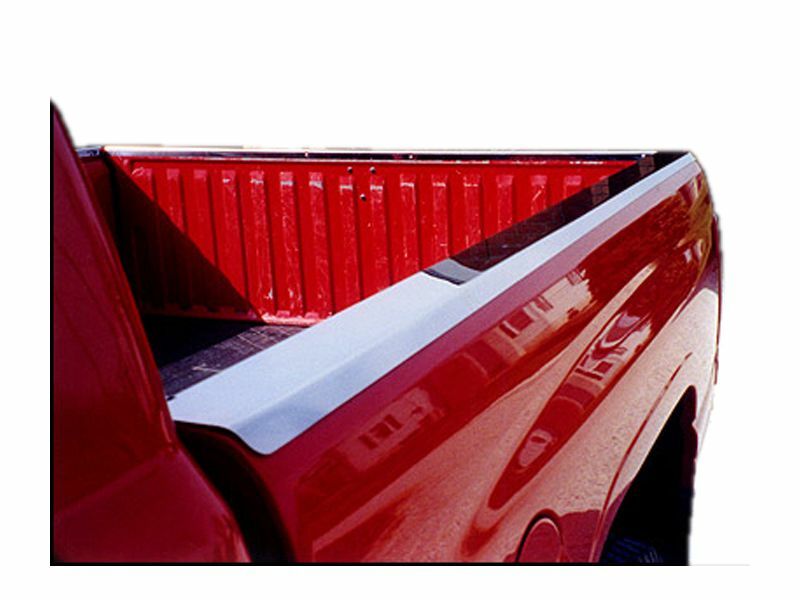 These pickup bed rail caps are also available with or without stake pocket cutouts, depending on your needs. Not only do ICI stainless steel bed rail caps help keep your truck looking great by preventing unsightly damage to the edges of your cargo area, but they also look fantastic all on their own. With their polished stainless steel finish, they add a stylish shine to any pickup. They're also custom fit to the make and model of your truck to ensure a perfect and visually appealing fit. Each pair of ICI stainless steel bed rail caps comes backed with a three year /36,000-mile warranty from ICI, with no shipping costs from RealTruck.com. If you're looking for an excellent deal on tough, stylish bed caps, you've found them right here. Order yours now! ICI products are custom made to order. Custom built "made to order" products are non-returnable except in the case of warranty. ICIwarranty policy is repair or replace. If you have any questions and need help ordering, please call. We want to make sure your products are ordered correctly to ensure you get the right bed rail caps for your vehicle. The ICI stainless steel bed cap offers an easy installation using the included 3M tape. There is an installation manual which is sent with the product that offers clear-cut and easy to read instructions. If you have any questions please call us at 1-877-316-5446.